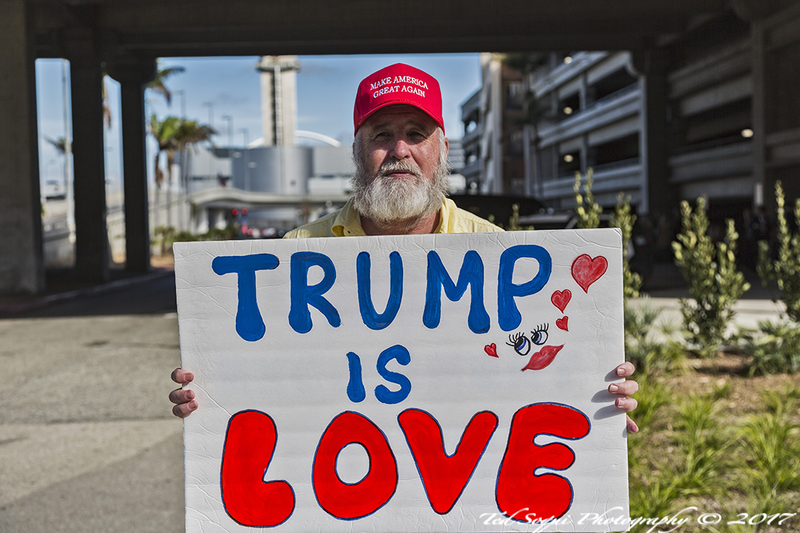 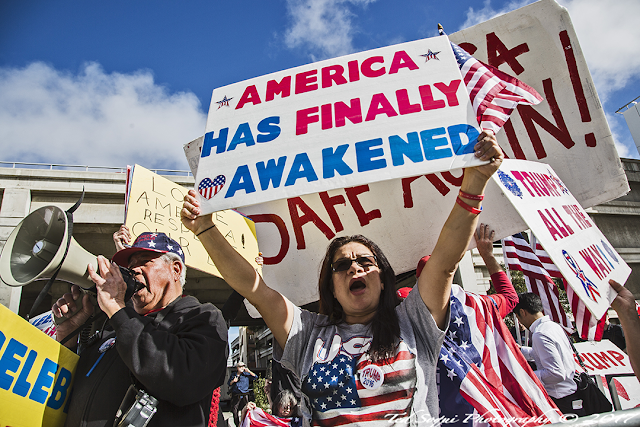 30-40 pro-Trump supporters from the Southern California area demonstrated at LAX International Terminal. 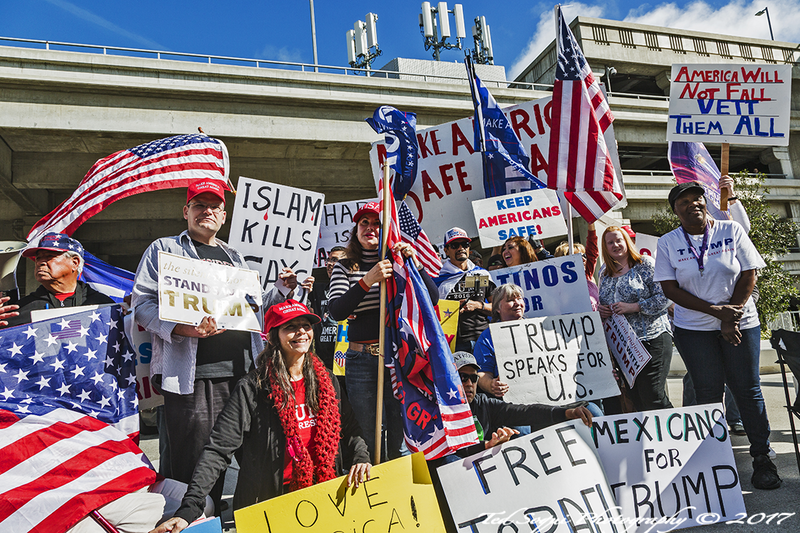 They protested in support of Trump's travel ban against the seven Muslim countries in the Middle east, the ban has been temporarily overturned and is not in affect. A counter demonstration of 300 set up inside the international terminal keeping the pro-Trumpers out and on the other side of the street. 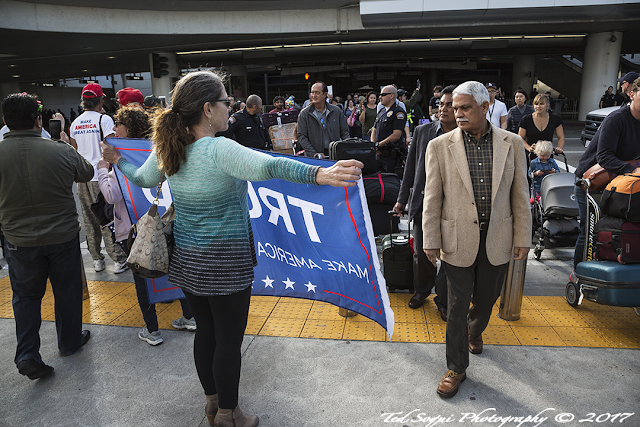 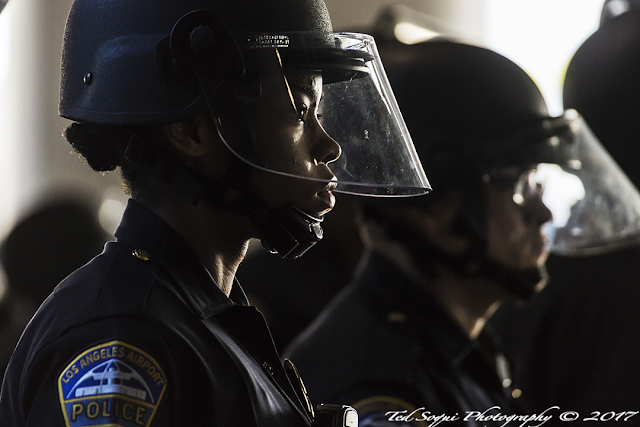 LAX Airport police kept the two demonstrations apart from each other. LAX PD keeping the peace.